*Does happy dance* The Color Run is coming back into town! When they call the race ‘The Happiest 5k on the Planet,’ they aren’t kidding. I had such a blast last year and can’t wait to participate again this year. I had been a bit intimidated by the idea of a 5k when I first signed up, I’m a sprinter, always have been, and generally speaking there was an audible grumble when I was told to run anything longer than 400 meters. 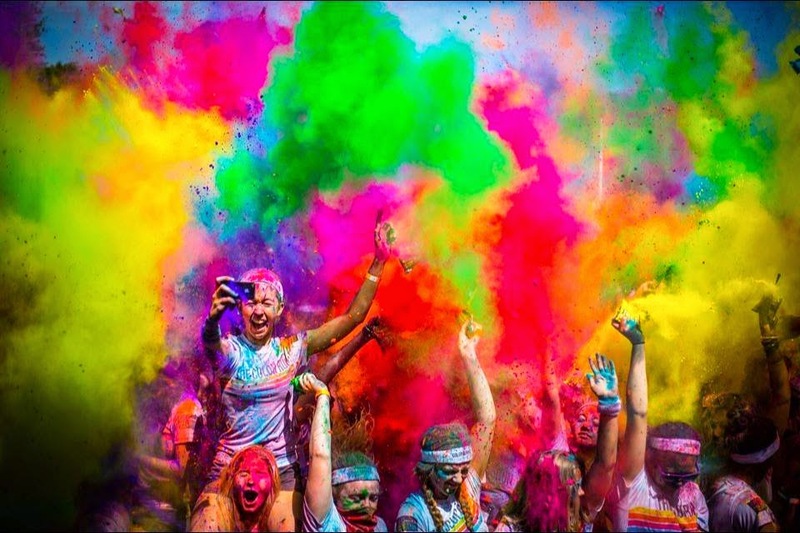 However, The Color Run makes the 5k accessible. There are color stations along the way where you can walk, water coolers, and lots of people doing a walk-run-jog hybrid. Your pace is truly only up to you! Taking pictures in the colored dust? Totally cool, and smiled upon! This year’s Kaleidoscope Tour has some awesome new features! The participant race kit includes a Kaleidoscope t-shirt, tricolor headband, cross body bag, tattoos and more! Add that to a group of awesome people and a crazy finish party and you’ll have a ton of fun! Plus I have a $5 off code for everyone who wants to sign up! Enter COLOR5OFF at checkout for the awesome deal! I’ll be headed to the Denver race on 8/2 but make sure to pop over to The Color Run to find the next event in your city! I have been provided with free tickets to this race. All opinions are my own.